Since long before the settling of the American colonies, property boundaries were described by the “metes and bounds” method, a system of demarcation dependent on localized knowledge of movable stones, impermanent trees, and transient neighbors. Metes and bounds systems have long been the subject of ridicule among scholars, and a recent wave of law-and-economics scholarship has argued that land boundaries must be easily standardized to facilitate market transactions and yield economic development. However, historians have not yet explored the social and legal context surrounding earlier metes and bounds systems—obscuring the important role that nonstandardized property can play in stimulating growth . . . Using new archival research from the American colonial period, this Article reconstructs the forgotten history of metes and bounds within recording practice. Importantly, the benefits of metes and bounds were greater, and the associated costs lower, than an ahistorical examination of these records would indicate. The rich descriptions of the metes and bounds of colonial properties were customized to the preferences of American settlers and could be tailored to different types of property interests, permitting simple compliance with recording laws. While standardization is critical for enabling property to be understood by a larger and more distant set of buyers and creditors, customized property practices built upon localized knowledge serve other important social functions that likewise encourage development. The ritual of perambulation could involve much more than merely walking the outskirts of property. Perambulation was also known as “beating the bounds.” Inhabitants of the community would walk around the relevant property, literally striking the boundary line—as well as any markers in it—with sticks, stones, and willow tree branches. Both adults and children went along for the affair. The express purposes of these perambulation procedures were “to make sure that the bounds and marks were not tampered with, to restore them when displaced, and also to establish them in the memory of the folk.” Indeed, the reason for involving children was so that “witnesses to the perambulation should survive as long as possible.” A child might be picked up and flipped, so that the child’s head would touch the boundary. In addition to offering some charming insight into perambulation, Brady offers a sort of redemption story for metes and bounds, which, as she reports, “have generally been met with derision from surveyors, lawyers, and scholars.” In particular, Brady’s article responds to recent law and economics literature by Gary Libecap and Dean Lueck, which found that a standardized “rectangular system” lowered transaction costs, yielding higher property values in some western states. Brady offers a narrative of the social benefits that metes and bounds yielded that have largely been overlooked by the law and economics literature. We made four maps for the piece, each exploring the differences between the metes and bounds parcel demarcation system, as compared with standardized property boundaries. First, Brady wanted to make a map of somewhere in the states, present day, where the legacy of the metes and bounds system would be visible in the geography, adjacent to land that had been historically demarcated using standardized systems. We spent some time zooming around in Google Maps and ultimately decided to map Dudley Township in Ohio. We traced visible property demarcations from aerial imagery, namely roads. 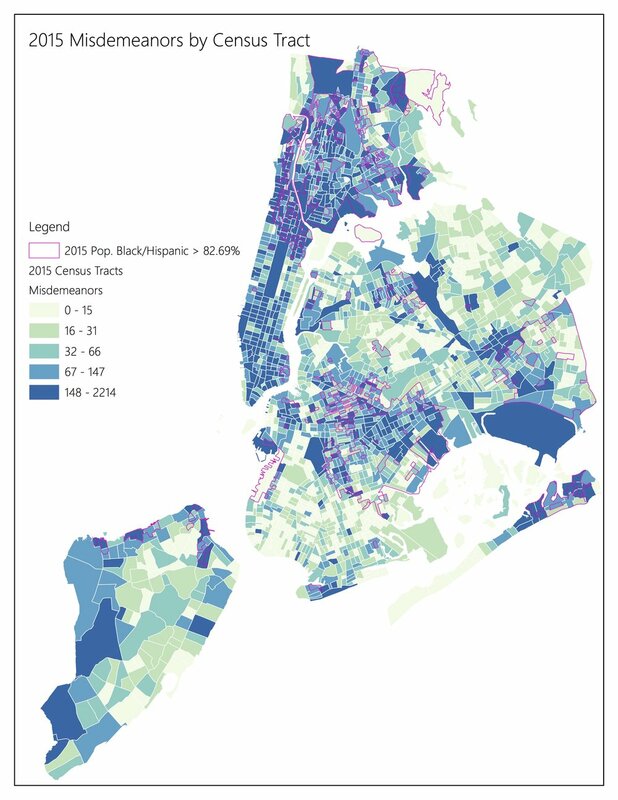 Unsurprisingly, areas in grey were demarcated using standardized systems and areas in white were historically demarcated with metes and bounds. Next, Brady wanted us to give a few more depictions of how the metes and bounds system and standardized system amounted to very different spatial patterns of property demarcation. On the left is a depiction of lots in the Virginia Military Reserve, Ross County, Ohio, (from some time between 1799 and 1826). We traced those lots from some historical maps. On the right is a depiction of parcels in Carroll, Nebraska (roughly 1918), also traced from some historical maps. Next, Brady wanted us to a prepare a visualization of a simplified lot and tier system for identifying parcels. We based this visual on some descriptions from New Haven Town Records from 1649-1684, (Volume 2). Finally, Brady wanted to trace the parcel system in the Oystershell Development in New Haven, the location of her case study. 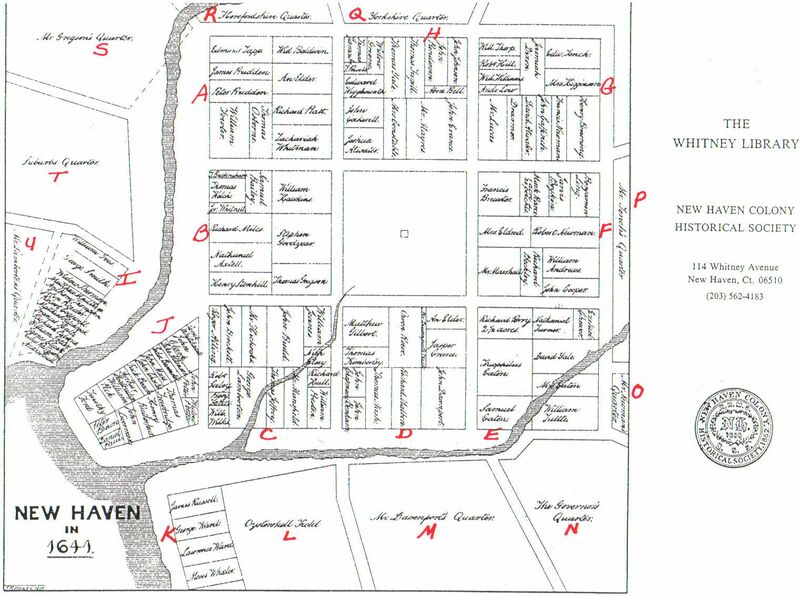 We worked from a historic map for tracing the parcels and used another historic map of New Haven to place the parcels on top of the modern grid. Brady uses the story of the Oystershell Development to explain Connecticut’s legislative response to the rising number of property disputes in the colony’s cities in the early eighteenth century and the difficulty that the colony was having gaining control over the settlement of land. As she explains, many of these property disputes were caused by metes and bounds. 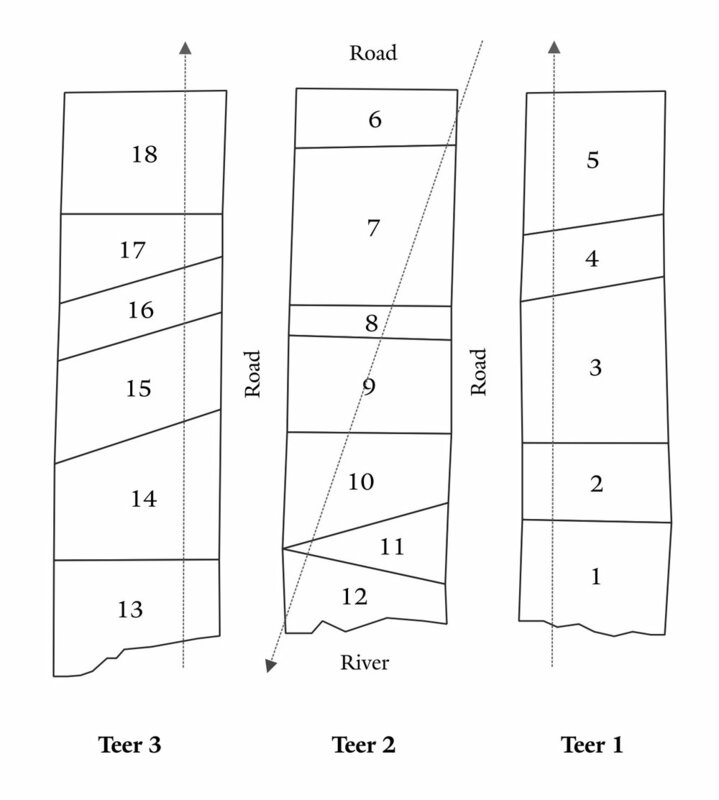 Some of these legislative changes included standardizing the shape and contour of new lots, such as those in Oystershell. At this point, I am not a zealous advocate for a return to metes and bounds, but this mappy historical divergence with Brady was a treat. She has another forthcoming article, "Property Convergence in Takings Law," to be published soon in Pepp. L. Rev., to keep your eye out for. Thanks to the latest by Mapbox I was able to add 3D buildings to my Jersey City Zoning Map. The buildings rendered below come from my shapefile of Jersey City buildings, which you can download from the city's open data portal, as opposed to OpenStreetMap. My data has more attributes (including zoning and assessment information) from when I merged buildings and parcel data. While the footprints are all the same as those in OSM (I first prepared that dataset specifically for OSM), you should use my dataset if you're interested in building ages, sale information, and zoning information. I created the building heights property from the "zoning description" field in the parcel dataset using an admittedly flawed method. The number of stories is usually listed first in a string of codes, followed by an "S". I used a regular expression to extract the number of stories and then I created a "bldgHeight" property (in meters) by multiplying the number of stories per building by 3. Lots of buildings are multi-level (e.g., a building might be one story across the entire lot but have two-stories on a portion of the lot). I grabbed the maximum number of stories in these cases. Some buildings are missing parcel information and so I don't know the number of stories. Some buildings that do merge with parcel information are missing the "zoning description" field. Unfortunately, all I could do for buildings with missing data is pipe in a "3" for one-story. I then did a few passes of clean-up based on personal knowledge. I flew around my map and corrected a few dozen buildings I know of that otherwise would have been a "3". For example, the buildings around Journal Square Station and Grove Station, the local high schools, and a few spots downtown. In some of these cases I was able to add additional layers to create the appearance of a 3D rendering (as opposed to just an extrusion). The Goldman Sacks Tower (the tallest building in view, below) is an example of this. All of the buildings have a "bldgHeight" of at least 3 (see my example code below for how I use this field), and all buildings have a minHeight of 0 (this field can be used to create the appearance of raised structures, like bridges) with one exception - the house I grew up in. Good luck trying to find it! Right now, I've added different layers for each zone category by repeating code blocks. A much more elegant way of doing this would simply be to pass a different "filter" and "fill-color" property to the add.Layer function, but this works for now. I also added a link to a Google form so that anyone can submit updates to the building information. I'd like to make the map overlay collapsable at some point (it's a bit clunky right now). Finally, under advisement from Brian Platt in the Office of Innovation, I'm going to add a toggleable layer for recent development (2013+). That one might take a few more weeks to realize. Enjoy for now! Go to the map. Go to the code. It's embarrassing to admit, but I finally got around to playing with Carto for the first time. I loaded in my Jersey City buildings dataset and whipped up this map with two toggle-able layers: buildings by number of stories, and buildings by year built (the default display). You can click on buildings for other parcel information. The year built value comes straight from county assessor data, so it's a bit faulty (although I did a little manual clean up, e.g. replacing bizarre values like "9999" with NULL). The number of stories field was extracted from the "zoning description field" (I grabbed the numeric characters before the "S") from the parcel data. 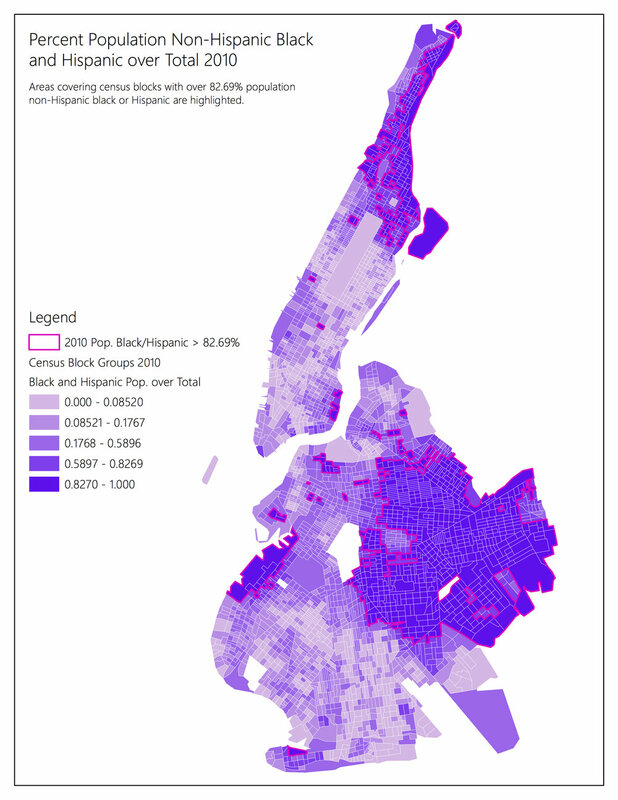 See my last post for information about where to download the Jersey City building footprints data, and see my last, last post for information on how I created that data. SEE IT LIVE. SEE THE CODE. LEARN WHY. If no map appears below (if there's a white background) it's probably because you need to enable WebGL in your browser. It's been a long-term dream of mine to map every building in Jersey City. See my last post for more about why. I reached out to the Office of Innovation to see how to go about doing it and they gave me the green light, so I had to pull the trigger. Once I created the building footprints using the process documented in my last post (these polygons now live in OpenStreetMap) I used QGIS to merge on several other publicly available datasets from the city including zoning, wards, and parcel information. I did my best to make the data comply with the Project Open Data Metadata Schema v1.1 as per their request. The zoning and wards merges were extremely clean and easy. The parcel merge was not, to say the least. There are often many buildings inside one parcel (Mun-Bloc-Lot-QCode) or many parcels inside one building. In the first case, I allowed buildings to inherit all parcel information. In the second case, I populate the Lot and Bloc fields with "MANY" as necessary. QCodes, which identify the smallest parcel boundary, were almost never uniquely identifying, so I exclude them. Mun-Bloc-Lot is sufficient to join with county assessment and tax information. I completed the parcel merge by calculating building centroids and spatially merging those with parcel polygons (preserving a unique building identifier). I experimented with other methods (like parcel centroids inside building polygons), but I found this method to be the cleanest and require the least manual clean-up. I found the realcentroid plugin extremely helpful, considering some geometry irregularities. I also found the QuickMultiAttributeEdit plugin to be extremely useful for updating the fields on a few objects that merged sloppily. I used one of my favorite plugins, qgis2web, to produce a quick and sloppy Open Layers 3 web map to immediately send to my favorite people. Unfortunately, I don't think the plugin is equipped for a dataset this large, so I wasn't able to use it to produce a Leaflet map (my preference). A little formatting with the Table Manager plugin and I sent the data off to the city with a data dictionary. They're in the process of putting it up on the Open Data Portal now. Finally, I uploaded the geojson with footprints and all of the merged fields into Mapbox studio as a tileset. I added it to two styles: one dark basemap and one satellite imagery layer with semi-transparent road information. Finally, I used Mapbox GL JS to code the map shown above. I added an overlay and a legend, and functionality to click on buildings for their information, and toggle between my two basemap styles. I then agonized over colors, added Google fonts, and promptly went to bed. (1) To solve: It would be great to see the whole city at once, but the dataset is so large that Mapbox enforces that it only be viewable from zoom >=14. I don't love having to pick one part of the city to focus on (at least for the default view), especially because I'm not interested in promoting a downtown-centric image of Jersey City. For now I've settled on what I think is a readily recognizable part of the city. I would love advice on how to manage this. (2) To do: Add more data, starting with addresses. This shouldn't be too tricky with some geocoding. This will also make dealing with messy parcel data (and recovering QCODEs) much easier. If I can get that done, then I can merge on parcel information from the county including owner information, building codes, year built, and building/land assessments. This is definitely feasible (and is just a matter of time). I'd also like to add links to specific, relevant sections of the zoning code for each building. That's another no-brainer. This post will show you how you can generate building footprints for your city using Open Street Map and JOSM, how you can classify those shapefiles by landuse using open source QGIS software, and how to use the qgis2web tool to produce a responsive webmap of your city's buildings without writing any code. Issues to fix and things to improve in the next version: The dataset was HUGE. I had to limit to zoom levels to keep the size reasonable. You'll notice that if you zoom out too much, the data disappears. I might need to pay for Mapbox to make this work... Also there are two attributions at the bottom of the map for OSM and Mapbox. I do love OSM enough to thank it twice, but I think this has to do with two styles being loaded in. Another thing to investigate with more time. Cool features: Hold shift and use the arrow keys to fly around. Note how place labels stay horizontal while you spin the Earth as if you stuck a pin in it first. Thanks, Mapbox. Here's the code I embedded above. I've been on a blog vacation (which is very different from a real vacation). More maps coming soon, but in the meantime, check out (and add) my curated collection of mappy blogs on Feedly. Stick around, and if you're heading to the first annual Bloomberg Data for Good Exchange, make sure to come say hi to me and Alex Albright of SLS and The Little Dataset that Could, as we'll be presenting some of our thoughts on how data scientists are (and are not - spoiler) trained to contribute to social good projects and programs.